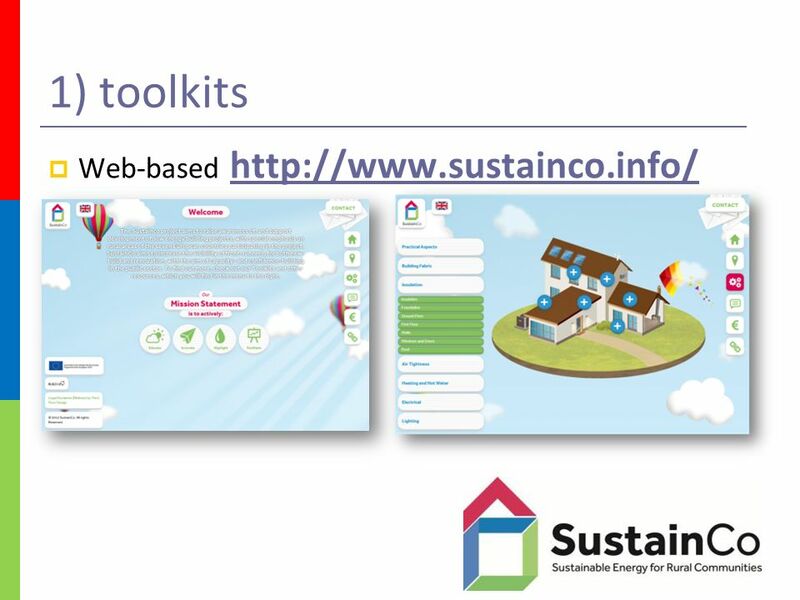 The Sustainco project aims to increase the visibility and understanding of the Near Zero Energy Building (NZEB) philosophy, with special emphasis on rural areas. This will be done by providing easy access to practical information on how to build or retrofit buildings to reach NZEB standards. SustainCo also aims to increase the visibility of front-runners, for both new-build and retrofits, with the aim of capacity- and confidence-building in the public sector. To find out more, check out our Toolkits and case studies, which you will find in the menu to the right. This Project ended in April 2015 - the website will be updated if necessary up until 2017. A wide range of Technical and Financial toolkits have been created to help with the planning and construction of NZEB buildings. It also includes a selection of NZEB Case Studies. Directly usable in current format. Number of users: HIGH. EU level project - 7 EU countries directly represented. No adaptation required for EU members.